A while back, Logitech introduced their version of a wireless interface for keyboards, mice, and other human-oriented peripherals. Yes, they could have used Bluetooth, but that’s neither here nor there. What we do know, though, is that it’s now possible to stuff one of these Logitech transmitters into a Super Nintendo controller, allowing it to operate with your fancy-schmancy wireless keyboards and mice. [Warrior_Rocker] wanted to retain as much of the stock appearance of the original controller as possible. To do this, he salvaged the Logitech transmitter from an old handheld Logitech keyboard/touchpad combo. 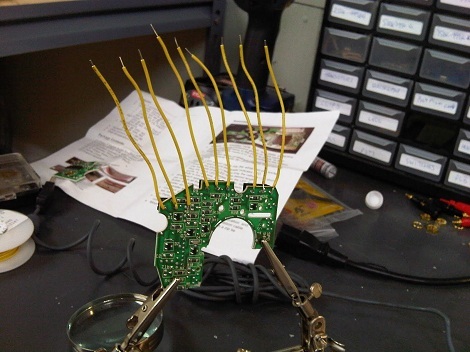 The membrane of the keyboard connected directly to the transmitter, meaning tracing out the connections of the membrane to each pin was required to get a button mapping that made sense. Once the lines of the SNES controller were wired up to the transmitter, [Warrior] needed a way to power his new wireless controller. 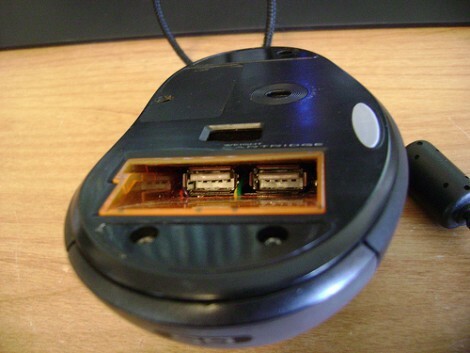 The old keyboard used a pair of AA cells wired in parallel. 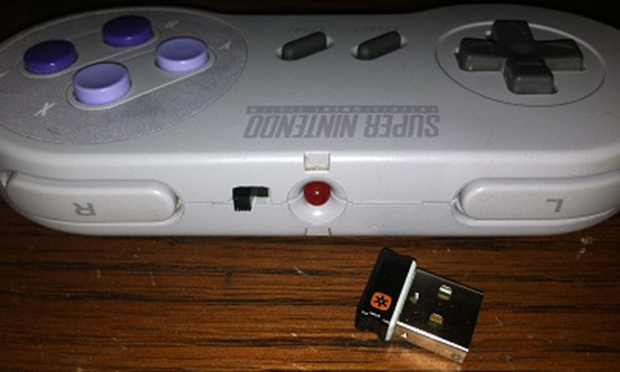 With two AA cells, the keyboard had about a year of battery life, so with a single AAA cell, [Warrior]’s SNES controller should last a few months or more. Except for a switch and a missing cable, [Warrior]’s wireless controller looks exactly like a stock controller. Pretty impressive, given this build is the product of stuff he just had lying around. [Jack Crossfire] took one of those inexpensive indoor helicopters and made it autonomous. He didn’t replace the hardware used for the helicopter, but augmented it and patched into the remote control to make a base station. The position feedback is provided in much the same way that the Wii remote is used as a pointing device. On the gaming console there is a bar that goes under the TV with two IR LEDs in it. This is monitored by an IR camera in the Wii remote and used to calculate where you’re pointing the thing. 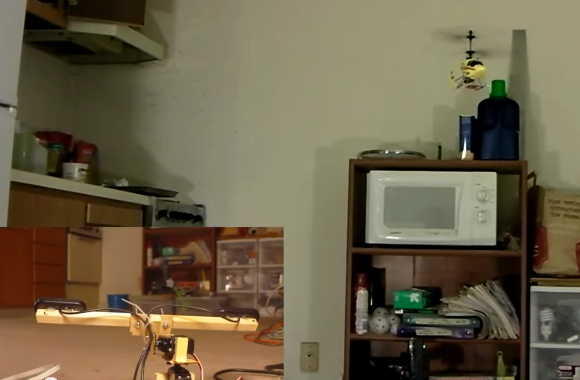 [Jack’s] auto-pilot system uses two Logitech webcams with IR filters over the sensors. You can see them mounted on the horizontal bar in the cutout above. The helicopter itself has an IR LED added to it that is always on. The base station follows this beacon by moving the cameras with a pair of servo motors, calculating position and using it when sending commands to the remote control’s PCB. Don’t miss the demo video of the rig after the break. 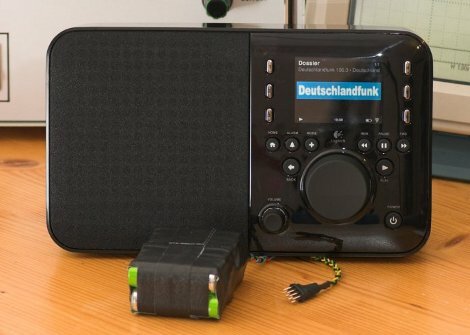 The Squeezbox media streaming systems are compact Linux WiFi enabled radios that let you stream your collection anywhere,so long as you have an AC or USB outlet nearby. But [Achim Sack] wanted to stream his collection from anywhere with no wires attached (translation). Some poking and prodding revealed a connector actually designed for a battery and serial, but no commercially available battery yet. The system requires a temperature sensor and if you want serial, a USB converter, but overall a simple process that could be done in an afternoon. Giving your box ~10 hour of life and even fits inside of a back compartment.